Union Metallic Cartridge Company also known as UMC has been synonymous with fine ammunition for nearly 140 years. Since its beginning in 1867 it has lead to several innovations in the ammo industry. Experience is what UMC thrives off of. At Remingtons UMC division they are making a quality product in a limited line of popular specifications so we can bring you the benefit of manufacturing efficiencies that keep costs low. Imagine Henry Fords Assembly line but with ammunition. 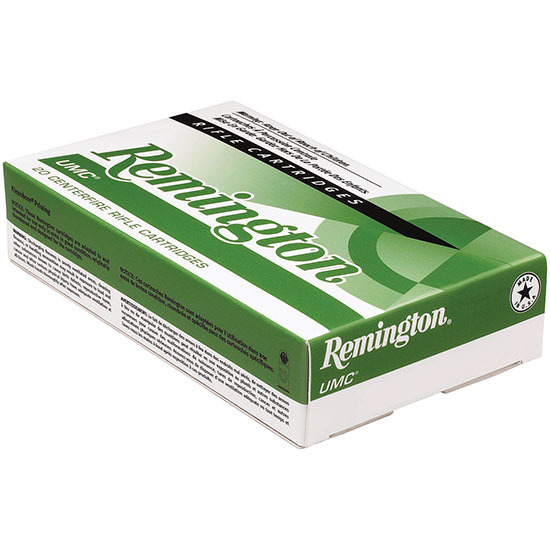 For the ultimate in quality for an affordable price you can count on Remington UMC. Reliable affordable loads for the highvolume shooter. Whether for practice target shooting or training exercises UMC ammunition is a superb choice for high volume shooting. This ammunition is noncorrosive in boxer primed with reloadable brass cases.